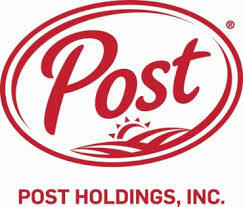 Bill Stiritz buys Post Holdings Inc. and exercises options, increasing his position by $54 million. Bill Stiritz may not have the name recognition of Jeff Bezos, Elon Musk or Warren Buffett, but the 84-year-old Non-Executive Chairman of Post Holdings, Inc. may be one of the greatest CEOs of the last half century. An investment of $100 made in Ralston Purina in 1981 when Stiritz was named CEO, would have would have been worth $5,700 by 2000 — a compound annual return of 20%. According to the 2012 book The OUTSIDERS, Eight unconventional CEOs and Their Radically Rational Blueprint for Success, that performance ranks Stiritz as one of the nine greatest CEOs over the prior fifty years. 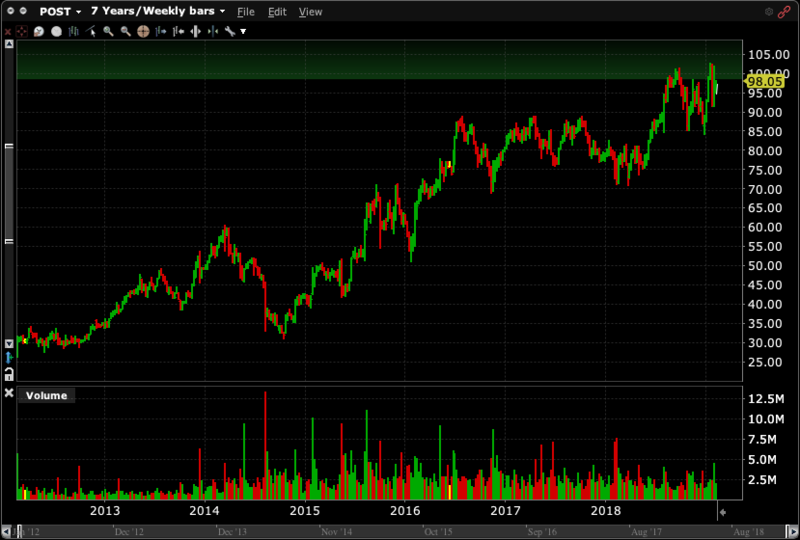 And that was before Post Holdings was spun off from Ralston Purina in 2012 and Stiritz took over as CEO. Since then, POST market cap has grown from $1 billion eight years ago to nearly $7 billion today. That’s a defensive, consumer staples company with a compound annual return of over 27%. So when Bill Stiritz buys Post on the open market and exercises $41 million of his own company’s stock options it catches your attention. After market hours on Feb. 8, Stiritz disclosed that he exercised options for 1,550,000 shares granted to him by the company in 2012. The options, which were fully vested in 2015, were exercisable at $31.25. Now it might seem that $41 million is a lot of money to grant a former CEO and current non-executive chairman, but as CEO from 2012 through 2014, Stiritz received only a $1 base salary — the rest of his compensation came from stock options. Often corporate executives exercise stock options and immediately sell the shares, pocketing the cash. But what did Stiritz do? Not only did he NOT sell the exercised shares, but Stiritz bought Post shares worth $13 millionon the open market. (The shares are held indirectly, in his wife’s name.) It would appear that despite 700% appreciation over the last eight years, Bill Stiritz remains bullish on Post Holdings, Inc. Note: After this article was published, Stiritz bought an additional $3.5 million of POST at $97.75 disclosing the transactions in a Form 4 filed on Feb. 12. Indeed, SEC records show that Stiritz has never sold a share of POST stock, though he has recently gifted some shares for “family estate planning purposes.” Since 2016 however, Stiritz has been an active open market acquirer, purchasing 958,270 shares of POST at an average price of $71.05. According to the most recent Form 4 filing, Stiritz directly and indirectly holds 3.21 million POST shares, or about 4.9% of shares outstanding. Headquartered in St. Louis, Post is a consumer packaged goods holding company operating in the center-of-the store, foodservice, food ingredient, refrigerated, active nutrition and private brand food categories. Among the company’s notable brands are venerable breakfast cereals like Bran Flakes, Chips Ahoy Cereal, Grape Nuts, Raisin Bran and Shredded Wheat. In 2014, POST acquired Michael Foods, the country’s largest producer of value-added eggs to the food ingredient markets. In 2017 POST acquired Bob Evans for $1.5 billion. On January 31, Post Holdings reported first-quarter revenue and EBITDA that were ahead of expectations and raised its FY19 guidance. In response, Wells Fargo’s John Baumgartner maintained an Outperform rating on Post Holdings and raised the price target of POST to $114 to $120. The results highlight resilience, with a combination of stable cereal sales from value consumers and incremental growth from premium licensed brands, according to Baumgartner. “Post Holdings holds upside potential for FY19 EBITDA from volume growth and cost synergies, while free cash flow generation could reduce leverage by the end of the year, Baumgartner said. “Despite these positives, Post Holdings stock trades at a 10-percent discount to U.S. food peers, and execution and upside are not priced in,” the analyst said. Disclaimer: Do not construe anything written in this post or this blog in its entirety as a recommendation, research, or an offer to buy or sell any securities. Everything in this post is meant for educational and informational purposes only. I or my affiliates may hold positions in securities mentioned in the article.